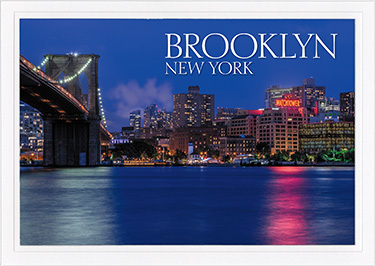 FRONT: The Brooklyn, New York skyline at night INSIDE: Blank. An attractive embossed white border nicely frames the high-gloss UV coated picture on the front. Size: 5" x 7" folded.